When Brightspace experiences outages, the outage and its resolution will be recorded to this page. From roughly 2:00 pm to 2:45 pm there was a technical issue preventing new content from being added to My Media (Kaltura). This issue is now fixed. Brightspace was inaccessible from roughly 9:30 am to 10:30 am due to an issue with Vanderbilt’s single sign on system. This has now been fixed. Turnitin functionality will be unavailable on January 5th, 2019 from 10 am to 6 pm for scheduled maintenance. Turnitin’s Feedback Studio experienced issues from roughly 9:15 am to 11:05 am. The program is now back up and operational. Email delivery through the Vanderbilt email systems was temporarily interrupted on Friday afternoon. Mailflow was restored at 5:30pm and all queued email was cleared by 5:55pm. No messages were lost, but you may receive some messages out of order as a result of the queuing. Turnitin experienced an issue with their service from 8:08 am to 8:38 am Central time. Their service has now been restored. The e-mail functionality inside of Brightspace experienced significant delays causing sent e-mails to show up in the proper inboxes hours later. There was also an issue with these same delays impacting the e-mails sent from various course notifications. This issue has now been fixed. Instructors, please be aware that Turnitin will be performing some proactive emergency maintenance that will temporarily disrupt services on September 22, 2018 from 10 AM to 6:30 PM CDT. During this time, users will be unable to submit or grade anything using this tool. Turnitin recommends adjusting any submission deadlines so that they do not fall within this window of time. Turnitin service went down and was unavailable from 11:15 to 11:39 am. TII has implemented a fix and the service is now functioning properly. Turnitin service may be intermittent. Brightspace was down from 7:09 am to 7:45 am. 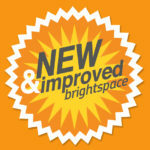 Brightspace is now back up and operational. Opening Brightspace periodically would cause an error to appear in the user’s browser. The issue occurred from 1:08 PM to 1:15 pm and should now be resolved. Users who have the role of TA (Grader) are currently not able to view Content in course modules. The issue has been escalated to D2L and a fix is being worked on. Users of the Turnitin services may encounter intermittent issues getting reports and accessing existing submissions. Turnitin is investigating this issue as a priority. We are sorry for any inconvenience this may cause. Assignments copied over to a new version of a course (Ex: Moving assignment content from 2017F to 2018F) may cause Brightspace to throw up an error when Turnitin is enabled for those assignment submission folders. D2L is aware of the issue and is currently working on a fix. TurnItIn will be down for scheduled maintenance. Users will be unable to submit and grade during this maintenance window, so please ensure that any submission deadlines are adjusted to fall outside of the window. Some Turnitin users (including those integrated with our service) may have experienced an error when attempting to leave comments through Feedback Studio from Jan 29 1:30 am PST- Feb 03 7:09 PST. Post resolution, root cause analysis was performed and monitoring / alerting has been put in place to further mitigate the chances of similar technical difficulties from occurring. 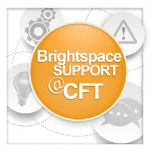 Users may have experienced issues being able to send email within Brightspace. 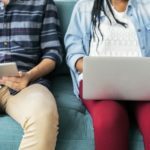 Turnitin.com experienced a service issue from roughly 7:30am to 3:30pm central. WileyPLUS will be unavailable from 5:00 – 6:30 AM Central. 7:30am Central Time: Users receive the “internal error” message when navigating Brightspace. D2L currently investigating. 10:45am – D2L continues to investigate the problem. Users may experience trouble logging in, accessing content, submitting files, and entering grades. 12:30pm – D2L continues to investigate. 1:00pm – D2L reports that all issues are resolved. Brightspace is currently experiencing significant slowness with the document conversion tool. Users will experience slowness when trying to view the preview window for Word documents or Excel files inside courses. The current work-around is to download these files and view them from the computer. D2L is actively working on a solution. WileyPLUS will be unavailable from 5.a.m. to 7.a.m. ET on Saturday, September 16th. Incident: The D2L Network Operations Center (NOC) advises that an infrastructure event may be impacting your PRODUCTION site performance. Wiley continues to fine tune WileyPLUS as the new term kicks into high gear. We will be doing some performance enhancements for our integrations with campus Learning Management Systems. WileyPLUS, will be unavailable on Saturday September 9th from 5:00 – 6:00 AM EST, and on Sunday September 10th from 5:00 – 6:00AM EST. We apologize for any inconvenience this may cause. If you have any questions, please contact your WileyPLUS Implementation Specialist or send a message to implementationspecialist@wiley.com. From approximately 7:37am to 8:35am Central, Brightspace experienced a problem with an API which resulted in the course list widget on the homepage to be unresponsive. Other areas within a Brightspace course could have been affected by this API malfunction as well. 7am – 1pm PST / 3pm – 9pm BST / 12am – 6am (Sunday 6) AEST (click here for your local time zone). Please follow @TurnitinStatus for the latest updates. April 28, 2017: The Brightspace classlist email function is flagging emails sent from a course as SPAM for the recipients. VUIT and D2L are working to resolve the issue. Instructors can use their Outlook or webmail clients to send emails to students as a temporary work-around. UPDATE: May 5, 2017: The email tool in Brightspace is working as expected.